The cold-weather months can take a toll on your mental health, so it's important to carve out time for yourself. The cold-weather months can be a complicated time when it comes to your physical and mental health. While some people love the change in seasons coupled with the holidays, the colder months can be challenging for a lot of people. Effective self-care strategies to get you through the colder months can make all the difference in how well you feel as the winter months wear on. Whether you manage seasonal depression, holiday-related stress and anxiety or just get weary of the icy snow and slush, self-care is key to any effective strategy for making the most of the cold-weather months — which can present you with a unique set of stressors. While self-care can seem like a luxury amid the hustle and demands of daily life, a 2006 study in the British Journal of Health Psychology shows it’s actually pretty nonnegotiable when it comes to upping your stress resilience, regulating your moods and taking care of your mental health. 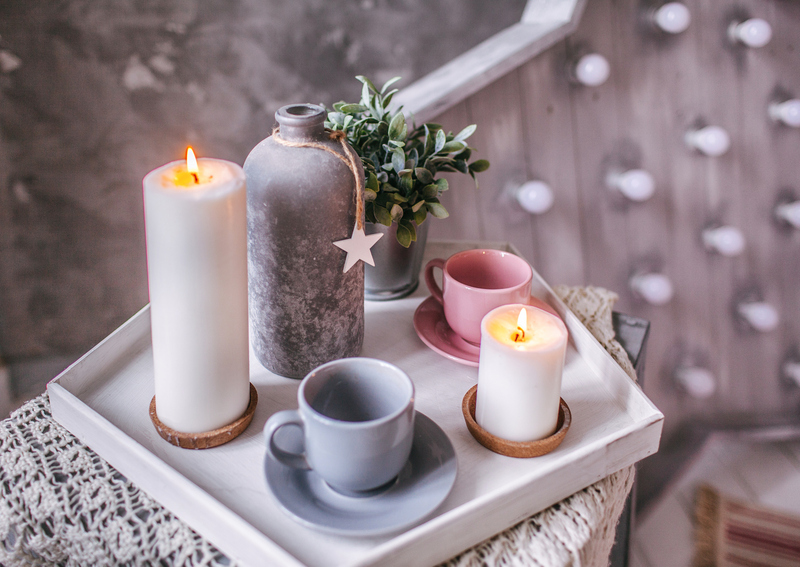 So choose a few new self-care strategies to try, get cozy and enjoy the unique beauty that only the winter months can bring. Here are 11 winter self-care strategies to get you through these ever-so-frosty cold-weather months. “Lack of sunlight — secondary to staying inside — can negatively affect mood, even for those without any diagnosable condition like seasonal affective disorder,” says Offner. “Pushing yourself to layer up and run outside or even buying special lights for your apartment can help.” Light boxes, early morning walks and making sure to get outside each day during daylight hours can help boost your mood during the shorter, darker days of winter. A luxurious soak with your favorite bath salts or bubble bath is a simple way to warm up and pamper yourself during the cold-weather months, Offner says. Warm baths can help relax tense muscles and are an easy, accessible way to get some wintertime self-care in. Few things combine warmth and relaxation as effectively as infrared sauna sessions. Infrared saunas help relax sore, tired muscles and can warm you up like nothing else. They may also help relieve arthritis pain, promote better sleep and improve circulation. Floatation therapy can be a powerful winter self-care strategy, suggests Offner. While floating in a darkened tank of saltwater might not be for everybody, proponents like Offner say it can promote relaxation, pain relief, better sleep, deeper meditations and overall wellness. “Buy a moisturizer with a great smell and feel. Keeping your skin from drying out will make your body feel better,” Offner says. Drinking plenty of water during the cold-weather months is also key to keeping skin moist and your body hydrated when you’ve got indoor heated air on blast. Going to the gym or taking a yoga or spin class can help you connect with others while boosting your health on multiple levels. Exercise is good for your body. It helps you deal with stress, and it can get you out of the house when you might be tempted to isolate and hibernate, Offner says. Exercising outside might be a challenge, but there are plenty of winter workout hacks to make sure you stay active. “Go to the gym — you’ll be around other people, many of whom are as eager for social contact as you are,” Offner adds. If you’re able to squeeze a quick getaway into your schedule, an active winter-wellness retreat can help you make the most of the snow. Winter — especially the holiday season — can be a stressful time. “Allow yourself to relax,” recommends Offner. “Catch up on Netflix under a blanket with hot chocolate.” Making time to focus on coziness and warmth — even if just for a nap or to catch your favorite show — can help create comfort during the colder seasons. Meditation and guided visualizations can be powerful ways to ease cold-weather-induced stress and can help you manage seasonal depression, Erica Curtis, a licensed marriage and family therapist, tells SheKnows. When you think about it, winter can actually be quite beautiful, and being mindful of that can help. Creating art with community and loved ones decreases feelings of loneliness and can improve your overall sense of well-being — especially during the long winter months, according to Curtis. “Invite a friend (or friends) over to create a communal wreath, garland or some other season-inspired craft of your choosing,” she suggests. Searching online for winter crafts for adults can also help connect you with community members in your area. While winter self-care strategies can be helpful for just about anyone, if you experience major seasonal depression or anxiety, make sure to check in with your doctor as soon as you can for extra support.